I have a confession to make. I don’t eat yogurt. I can never touch that stuff. Its a childhood aversion that continues to this day. So no curd rice and no pickle for me. I am happy I told it to you. But, but do not judge me ok. I know you wont. Thank you! 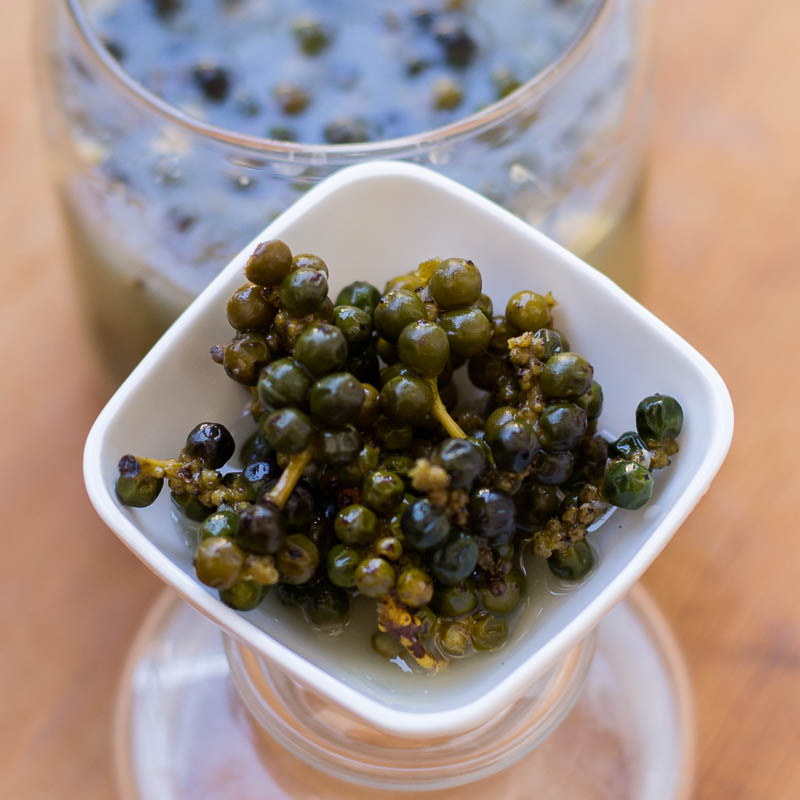 This Green Peppercorn Pickle made with young peppercorn is marinated in a brine. Its sour, hot and delicious. I love to chop them and use it in omelettes and sandwiches. Its perfect with curd rice too. 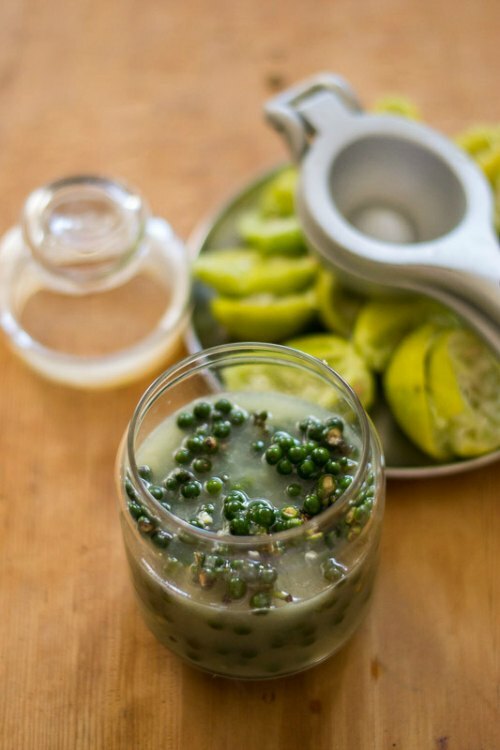 This is Vinodh’s sister Padma Akka’s favorite pickle. This is her recipe. This recipe is very popular in the Palakkad region near Coimbatore. This is a very simple recipe with just 3 ingredients. Green peppercorns, lemon juice and salt. That is it. You mix everything and wait for it to mature. Waiting is the hardest part and as with any pickle, it gets better as they age. 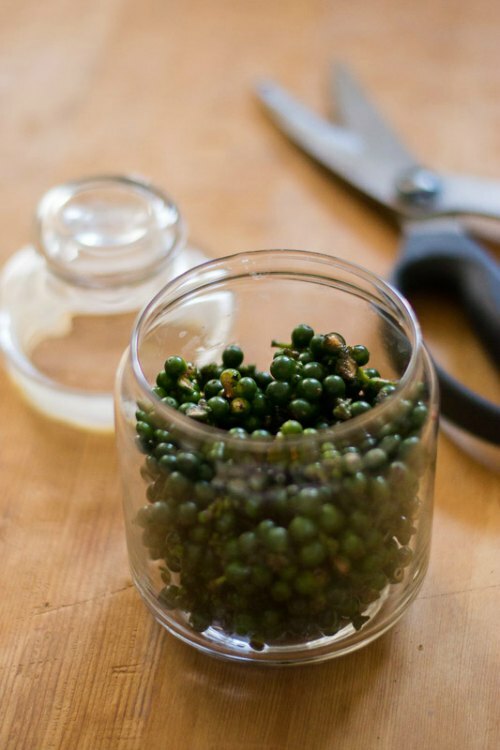 Here is to how to do an awesome green peppercorn pickle. 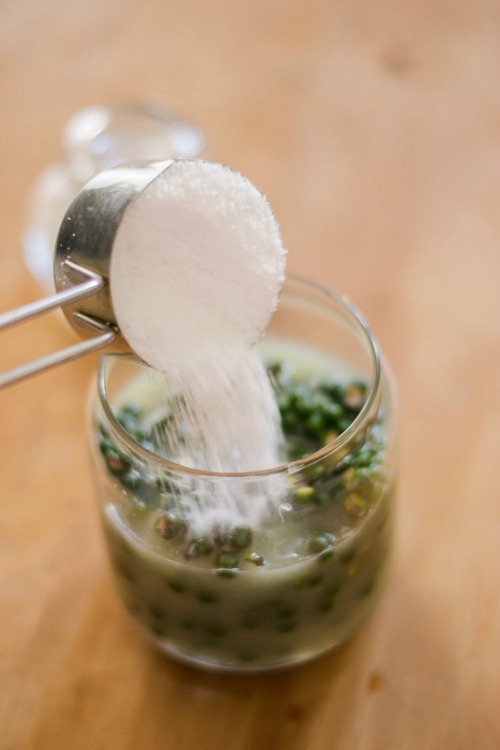 Use only a glass or a ceramic jar for making this recipe. Metals and plastic containers tend to react to the pickle and hence using them is not recommended. Wash and dry the green peppercorn. Cut the pepper into small strips. Cut them along with the stem. Do not remove the stem. Cut them about 1 to 1.5 inch in size. I used about 150 grams of green peppercorn today. Add in the juice of 10 Indian Lemons. 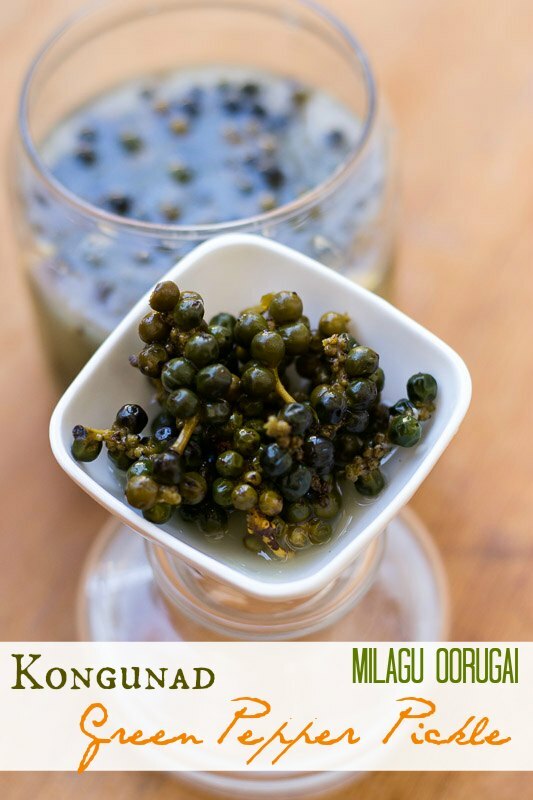 The juice should cover all the peppercorn in the bottle. Add in 1/4 cup of salt. Cover the bottle with a lid and shake well. Set aside. Shake the bottle once everyday for the next 10 days. You can start consuming the pickle after that. Its yum! 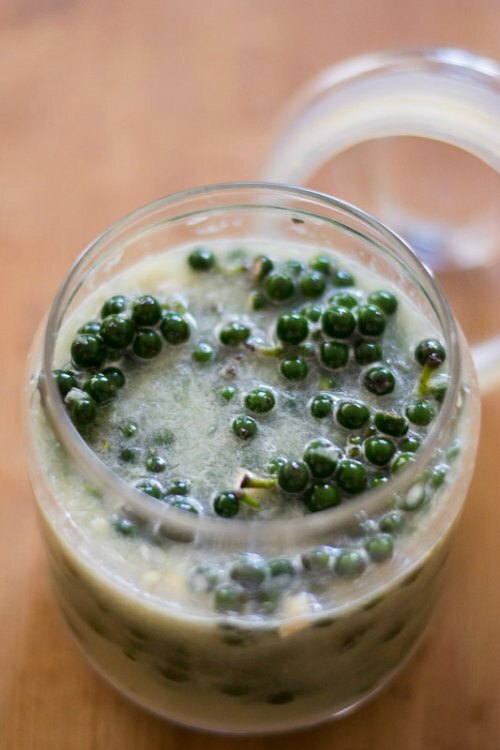 Recipe for Green Peppercorn Pickle made in lemon brine and salt. Kurumilagu oorugai. Cut the pepper into small strips.Cut them about 1 to 1.5 inch in size. 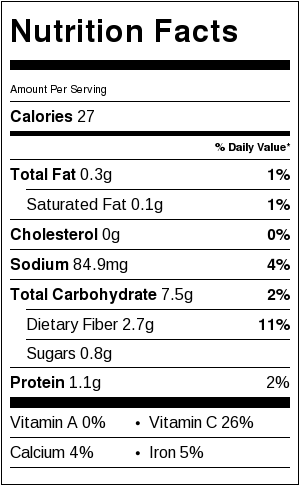 Add in ¼ cup of salt. For how long can we store this? 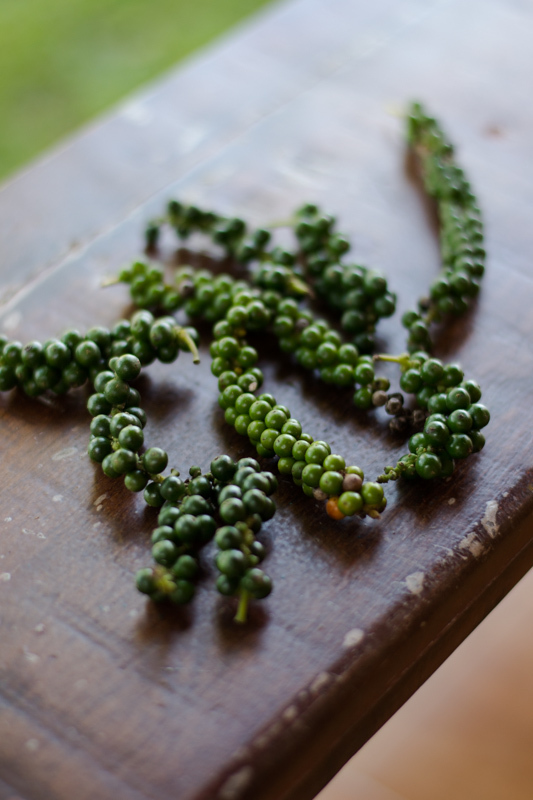 Im so interesting about pepper Pickle’s, can i use substitution for indian lemon ? Because we dont have indian lemon in indonesia. How about lime ? Kafir lime or something ?? And is it recomended to storage pickle in the refrigerator or just in room ?? 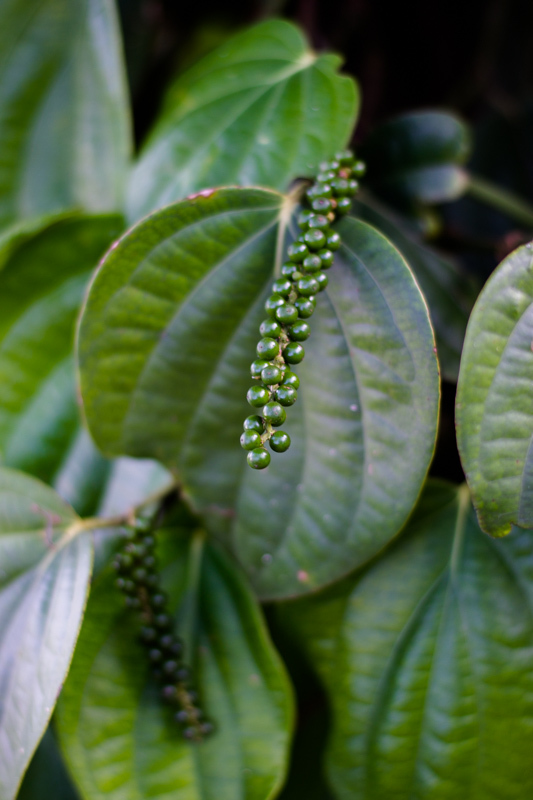 Where do you buy green peppercons on the stem? Its available in the markets in India just before winter.